Konami has just announced that the launch date for the upcoming product release from Yu-Gi-Oh! 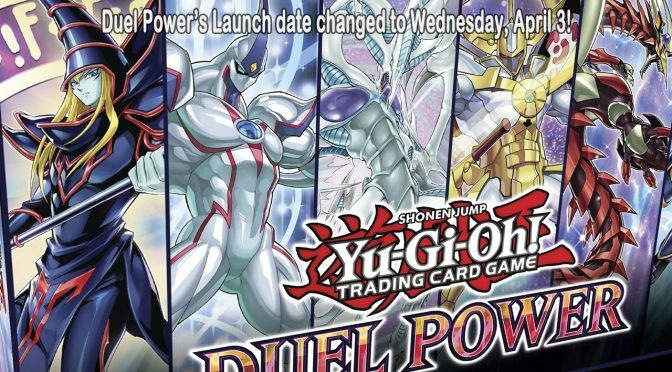 TRADING CARD GAME, Duel Power, has changed from Friday, April 5th to Wednesday, April 3rd, 2019. 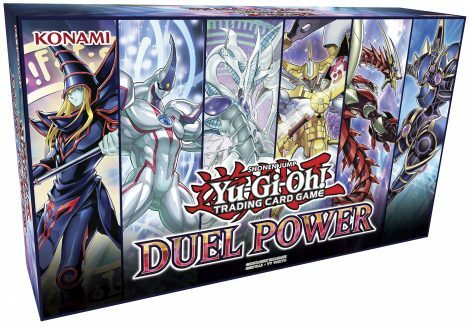 Each Duel Power box contains: 6 Duel Power booster packs, each with 5 Ultra Rare cards per pack, 6 new Ultra Rare variant art cards, showing off new art versions of the main monsters from each Yu-Gi-Oh! anime series (Dark Magician, Elemental HERO Neos, Stardust Dragon, Number 39: Utopia, Odd-Eyes Pendulum Dragon, and Decode Talker), and 1 Gameboard.